The generation into which each person is born, the demographic composition of that cohort, and its relation to those born at the same time in other places influences not only a person's life chances, but also the economic and political structures within which that life is lived; the person's access to social and natural resources (food, water, education, jobs, sexual partners); and even the length of that person's life. Demography, literally the study of people, addresses the size, distribution, composition, and density of populations, and considers the impact the drivers which mediate these will have on both individual lives and the changing structure of human populations. This Very Short Introduction considers the way in which the global population has evolved over time and space. 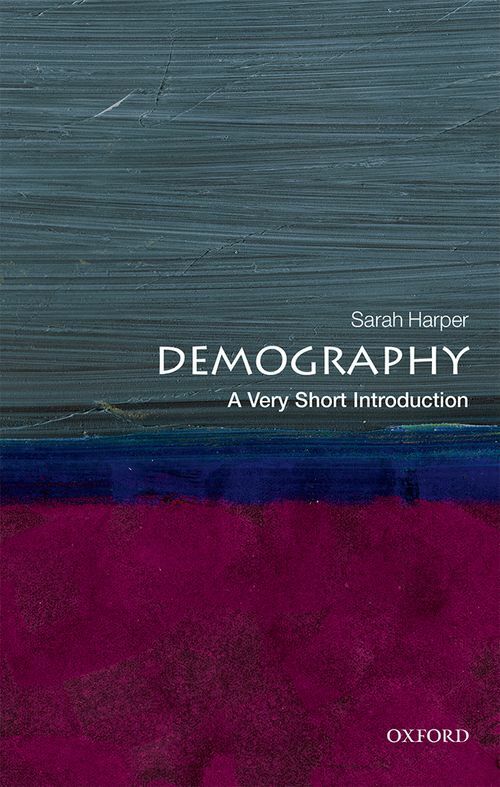 Sarah Harper discusses the theorists, theories, and methods involved in studying population trends and movements, before looking at the emergence of new demographic sub-disciplines and addressing some of the future population challenges of the 21st century. Sarah Harper is Professor of Gerontology at Oxford University, Director of the Oxford Institute of Ageing, and Director of the Clore Programme on Population-Environment Change. She is a Governor of the Pensions Policy Institute and author of Migration, Ageing and the Environment for the UK government Foresight Programme on Global Migration. She is also the Director of the Royal Institute, London. Sarah is the author and editor of several books including Ageing Societies: Myths, Challenges and Opportunities (Hodder Arnold, 2006); the International Handbook of Ageing and Public Policy (Edward Elgar, 2014); and How Population Change will Transform our World (OUP, 2016). She is the founding co-editor of the Journal of Population Ageing (Springer).